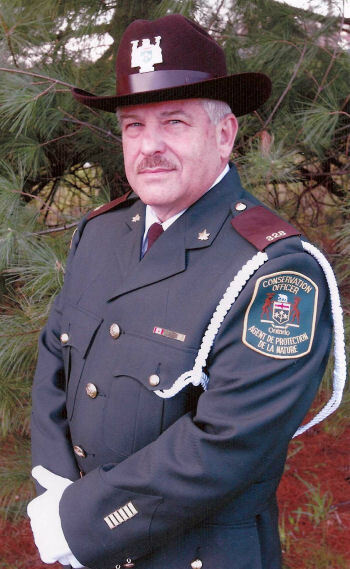 The Ontario Conservation Officers Association (OCOA) is pleased to announce that Donald J. Weltz was selected as the 2007 Conservation Officer of the Year. Don works for the Upper Great Lakes Enforcement Unit out of Owen Sound. 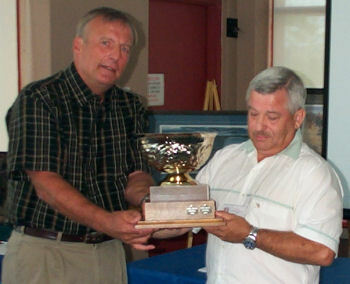 Don was presented the OCOA award on Saturday August 11, 2007, at the annual banquet. 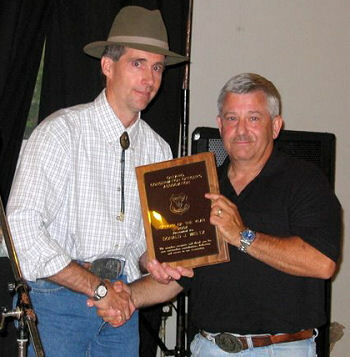 “We are pleased that our founding President was selected as the 2007 Conservation Officer of the Year. Don’s role as the founding President, in 1979, helped the Association and Conservation Officers gain respect and recognition provincially and internationally.” said Dan VanExan, President of the Ontario Conservation Officer’s Association. 5) Don is recognized and respected within his community, profession and for his unwavering commitment to, not just natural resource protection, fairness and transparency, but also and more significantly towards improving the professionalism and recognition of Ontario’s Conservation Officers. In addition, Don also received the Ministry of Natural Resources (MNR) Officer of the Year award from Natural Resources Minister, David Ramsay, on Friday August 10. Don was nominated for the awards by one of his peers. The selection was done a committee comprised of both representatives of the OCOA and staff from MNR’s Enforcement Branch. Conservation Officer Donald J. Weltz will also receive the Shikar-Safari Club International Wildlife Officer of the Year award and the Midwest Association of Fish and Wildlife Agencies (part of the International Association of Fish and Wildlife Agencies) Officer of the Year Award.